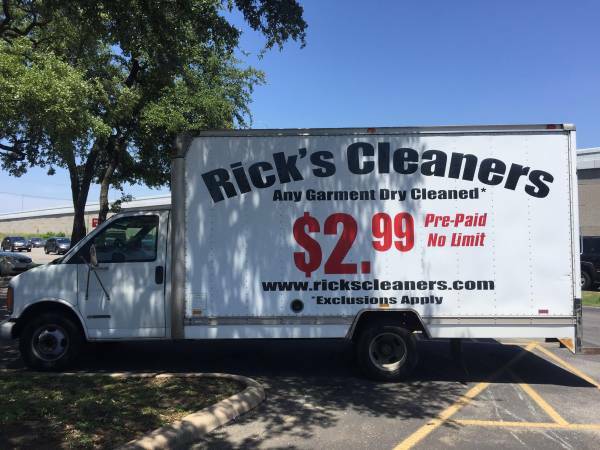 Used 2002 Chevy Cutaway 3500 Box Truck previously used for daily deliveries for a dry cleaning company. Item is in rough cosmetic condition, but runs just fine, and is currently being used as an advertisement billboard only. Vehicle has clean title and original owner. Box is manufactured by Supreme Corp. Side graphics on box truck will need to be removed/covered with purchase. Vehicle has valid inspection sticker.